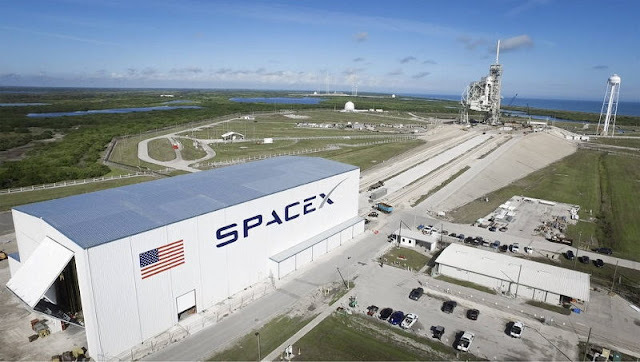 CAPE CANAVERAL, Florida - SpaceX received its first order from NASA to launch astronauts from U.S. soil to the International Space Station. NASA officials said that this was the second in a series of four guaranteed orders NASA will make under the Commercial Crew Transportation Capability (CCtCap) contracts. Boeing received its first crew mission order back in May. "It’s really exciting to see SpaceX and Boeing with hardware in flow for their first crew rotation missions," said Kathy Lueders, manager of NASA’s Commercial Crew Program. "It is important to have at least two healthy and robust capabilities from U.S. companies to deliver crew and critical scientific experiments from American soil to the space station throughout its lifespan." Determination of which company will fly its mission to the station first will be made at a later time, NASA said. The contracts call for orders to take place prior to certification to support the lead time necessary for missions in late 2017, provided the contractors meet readiness conditions. Commercial crew missions to the space station aboard the Boeing CST-100 Starliner and SpaceX Crew Dragon spacecraft will restore America’s human spaceflight capabilities which ended in 2011 when the Space Shuttle fleet was retired.